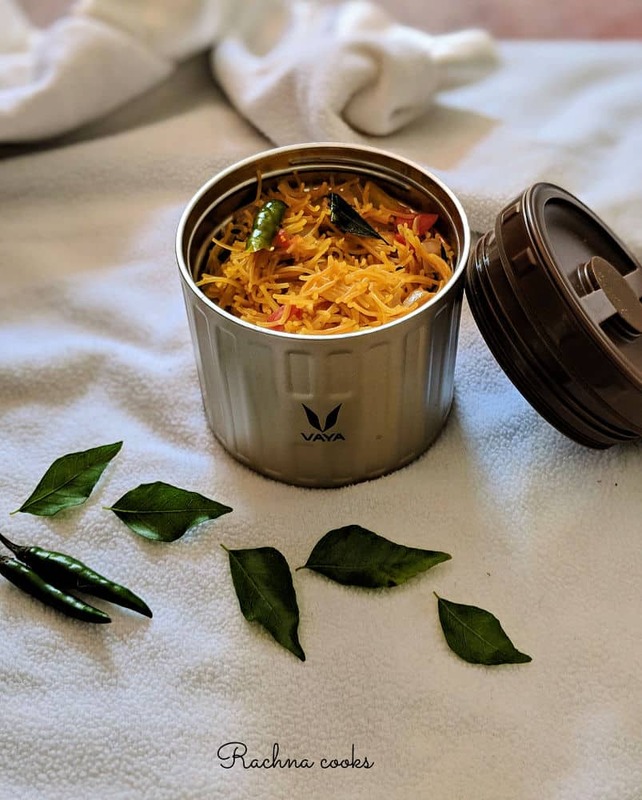 After revolutionizing the Indian tiffin market with its breakthrough Vaya Tyffyn, Vaya is back with Vaya Preserve – unique kitchen storage solutions that are stackable. And this could not have come at a better time as I received my set of 4 just before Diwali. Since Diwali is a festival that I really celebrate with gusto, making homemade eats is a large part of the festival goodness. 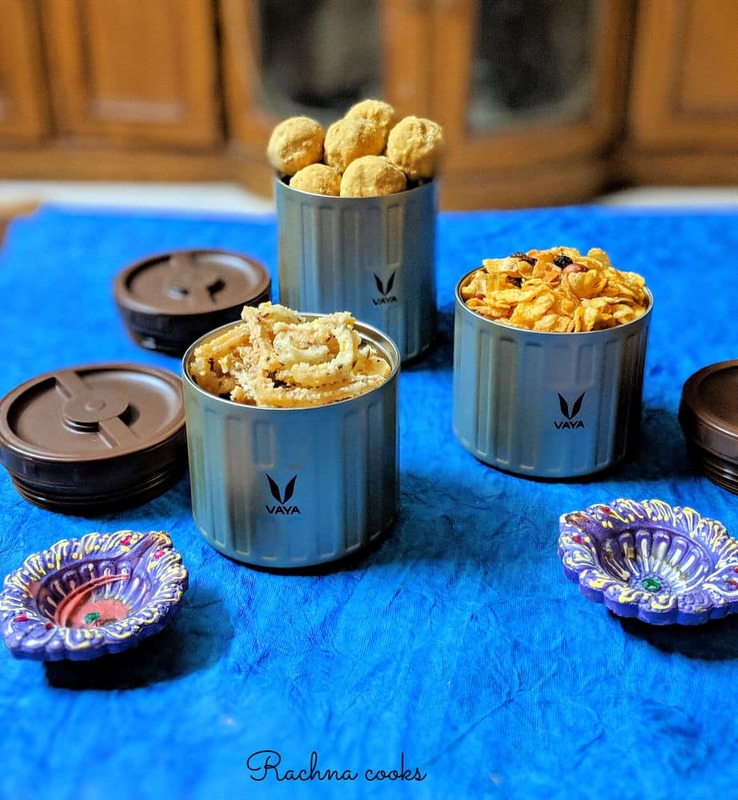 So when I made cornflake chiwda, chakli and besan laddus, I used Vaya Preserve to retain their crunch and freshness. Vaya Preserve with its stainless steel VacuTherm insulation kept my labour of love in perfect form. I am sure, it is a perfect storage option for all our savouries and sweets. I cook a lot and often make my own spice mixes from scratch. 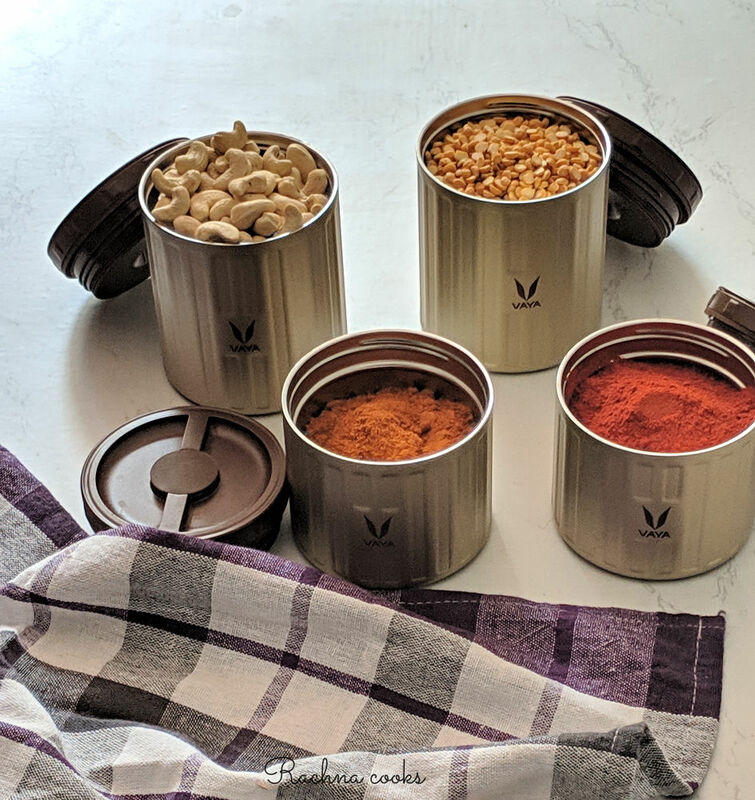 Since even the smallest of batches last at least a month or two, it is very helpful if I can store them in containers that preserve their freshly ground taste and nutrition. I used Vaya Preserve for these. What’s even better is that these containers are stackable and hence save space while adding a classy touch to my kitchen shelves. Winter is here, and most of you are aware that I was under the weather. I was living on soups and soupy noodles. Mostly I made a large batch of soup and stored it in Vaya Preserve. We all are aware that heating food over and over again makes it lose its nutrition as well as its flavour. 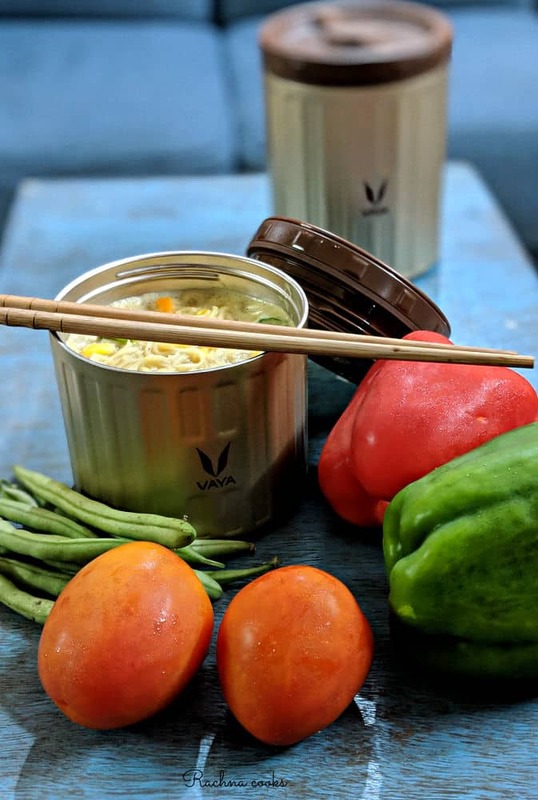 Storing freshly made soup in Vaya Preserve insulated container keeps it hot for 6 hours. I can leave it on the kitchen counter and have it later in the day having it taste as if I just made it and best of all hot. Perfect, isn’t it? The same works for my pot of adrak chai. As a mother, I often end up having cold breakfast. The hustle and bustle of packing dabbas in the morning takes so much time that by the time I sit down to breakfast, my upma is so cold. Frankly, I don’t have much enthusiasm to warm up everything. But now all I do is pack hot idlis and sambar or rice and dal or upma and not worry about reheating it. I do prefer my food to be tantalizing hot and tasty. 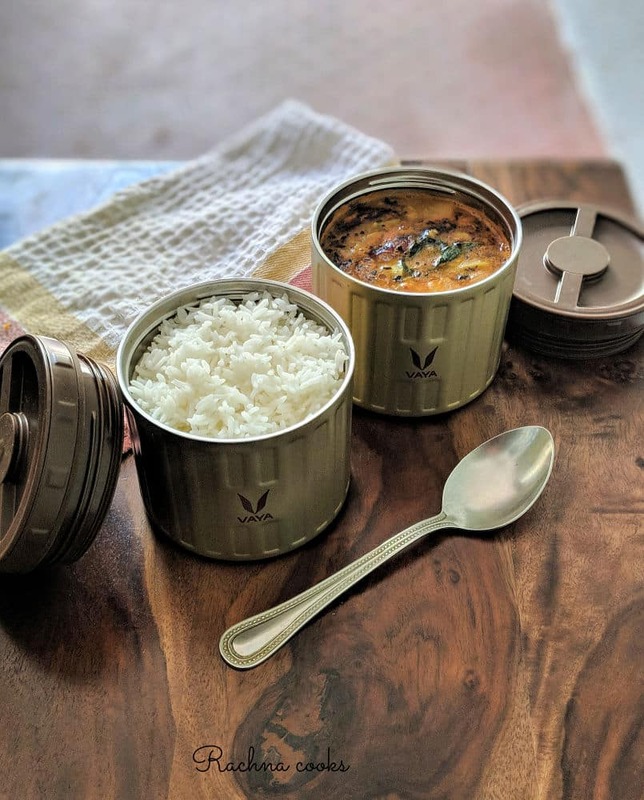 Whether it is having breakfast at home or carrying my lunch to a meeting, Vaya Preserve is my knight in shining armour. 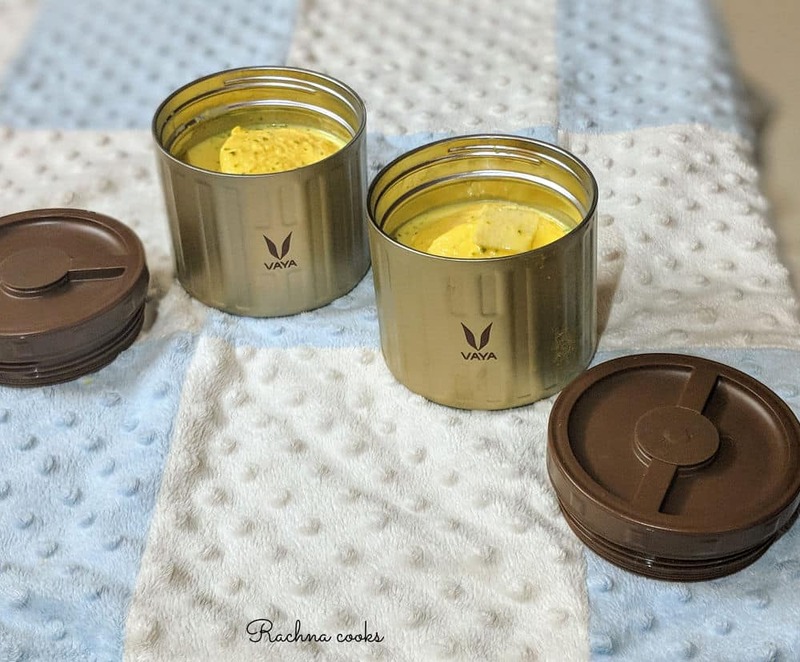 Vaya Preserve is also perfect for cold desserts like my favourite makhane ki kheer or rasmalai. Yes, you can keep it cold for 6 hours which is just perfect for dessert on the go. These are stackable kitchen storage jars that are currently available in two sizes – 500 ml. 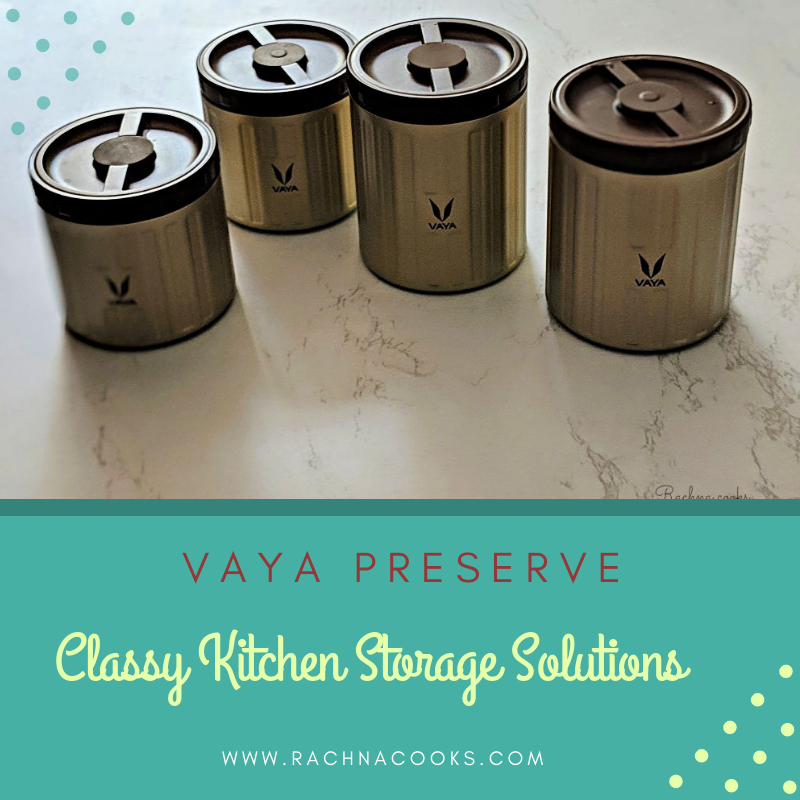 and 300 ml.. As mentioned above Vaya Preserve totally transforms your kitchen storage with its glamourous looks, versatility and amazing features. They double up as containers to keep your food hot and cold for 6 hours which to me is a huge plus. I do hope that they come out with bigger sizes in containers for pulses and dals and perhaps an option to buy exactly the container sizes we want. Overall, I like the concept of Vaya Preserve. 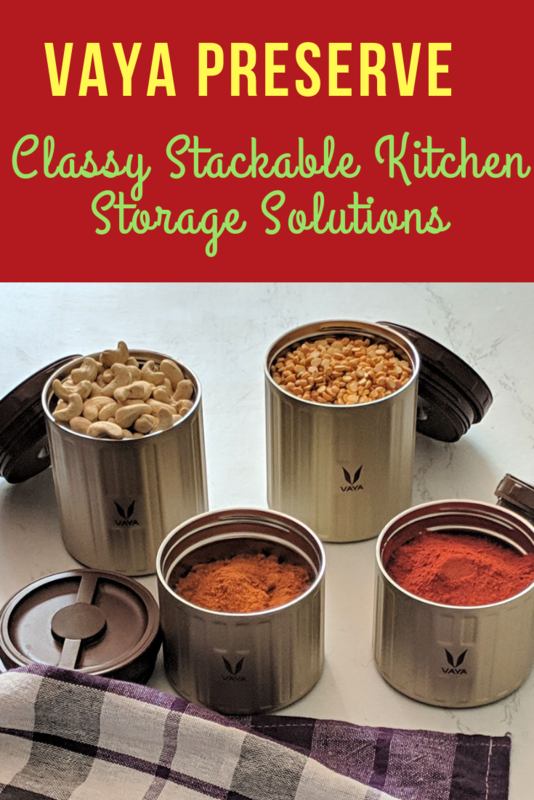 If you are looking for premium storage jars for your kitchen, then this is an option worth trying out. They come with a warranty of 1 year. Currently, it is available at attractive introductory discounted rates on Vaya.in. So grab them at this low price. 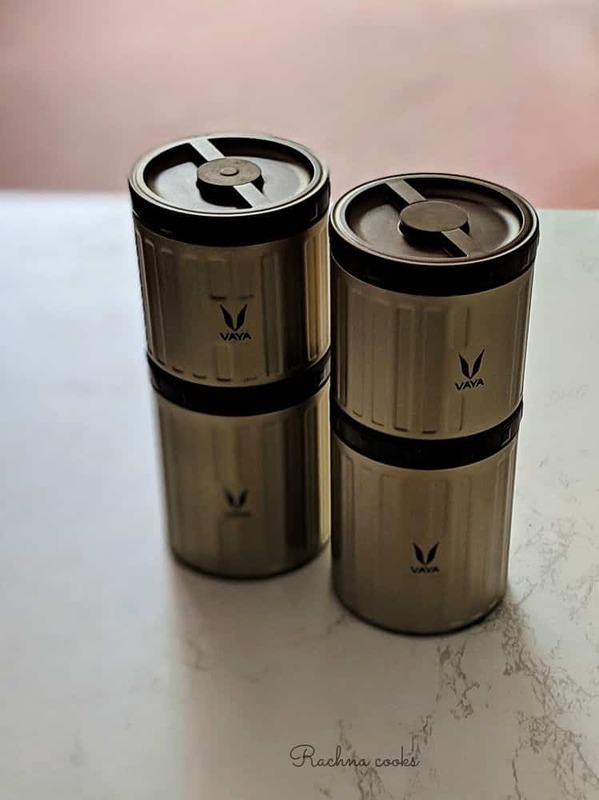 Disclosure: I received Vaya Preserve Jars for review. All opinions in this post are mine and completely honest. These boxes looks very smart. Will buy a few for my kitchen. I love their Tiffin and these storage boxes are similarly stylish. Love it. These look great. I am gradually getting rid of plastic containers from my kitchen and replacing them with glass and steel containers. Wish these were available in bigger sizes. How long do they keep food warm? Looks good. Mom will love these too. These seem really really useful. And pretty versatile too. Love the idea of storing soups. Your food photography is amazing! Now if I actually cooked as much, I’d probably buy these to take back with me. i really need something to keep my soups hot. I have to make them in smaller quatities as I really don’t like reaheated soup or tea. These look really classy. Plus the kitchen would look so organized and neat. The food looks so good here. Making me crave some spicy rice and curry. I am gonna get myself these!